Arecont Vision, manufacturer of only megapixel cameras, is contending that megapixel cameras 'virtually eliminate the need for mechanical PTZ cameras.' In this note, we debunk this prepostoerous claim and explain why this is a dangerous approach to designing real world surveillance systems. "The superior resolution provided by megapixel cameras enables highly detailed and accurate digital PTZ (pan-tilt-zoom) of live and recorded images. As a result, megapixel cameras virtually eliminate the need for mechanical PTZ cameras, which are often costly and feature mechanical parts prone to failure." In English, virtually is generally accepted to mean "for the most part; almost wholly; just about." 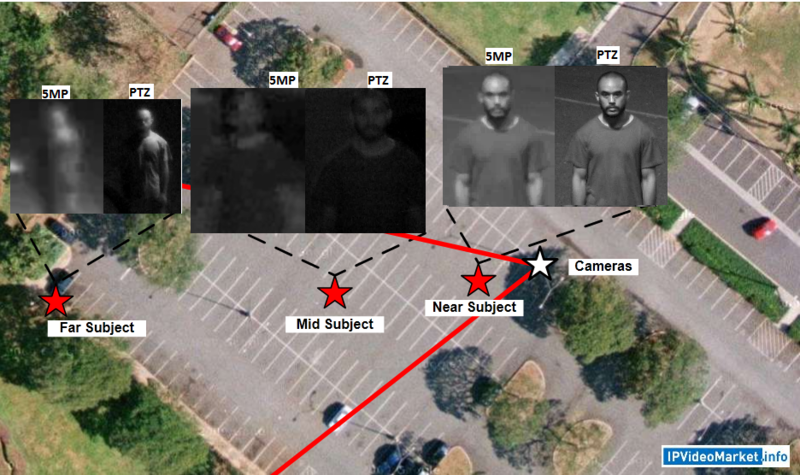 By contrast, no more than a fraction of locations using PTZ cameras would benefit from switching to Megapixel cameras. Indeed, far more would be better off considering MP PTZ cameras that combine both of the technologies. We've tested SD PTZ vs megapixel camera comparative performance. The range of an SD PTZ's optical zoom produces far more details at far greater range than anything a megapixel camera can deliver. Only in very narrow FoV ranges (~50 degrees, 50 feet wide FoV) can megapixel cameras even come close. Any further out or wider and megapixel cameras can simply not compete. 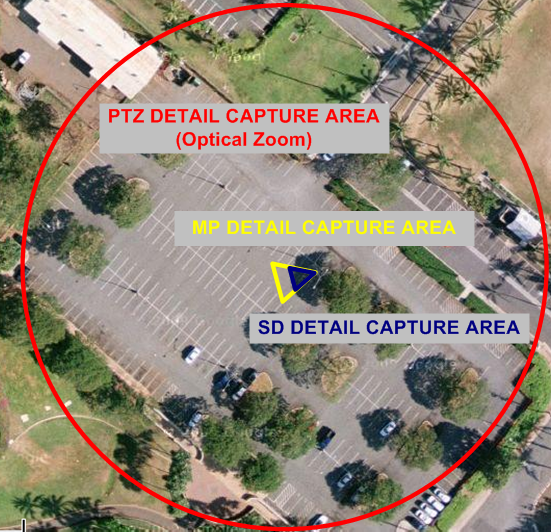 The problem here is that most PTZ users want the capability of seeing more than the limited coverage area a megapixel camera can deliver. Challenges in handling light variations: In test after test, Arecont Vision image quality suffers with bright lighting. Essentially, the WDR performance is weak. By contrast, when zooming in with a PTZ, lighting variation problems are minimized as the lighting levels in smaller areas tend to be more even. Massive bandwidth spikes: In test after test, Arecont Vision's bandwidth consumption explodes whenever lighting decreases (a few Mb/s during the day, 10Mb/s+ at night). This can have a major negative impact of networks and storage consumption. Finally, we find it ironic that Arecont Vision criticizes PTZ failure when they have the worst reputation in the industry for reliability. Megapixel does have advantages against PTZs: (1) per camera, cheaper by ~$1,000-$1,500, (2) covers the full area at all times, (3) lower MTBF (in general). On the other hand, the huge negative remains: optical zoom and mechanical control delivers a massive increase in coverage relative to megapixel cameras. It's just not close. In small, generally indoor areas, where PTZ have traditionally been overkill, replacing with megapixel cameras is worth considering. This, though, is just a small fraction of overall PTZ use. We understand why a company that only sells fixed megapixel cameras would promote that category. 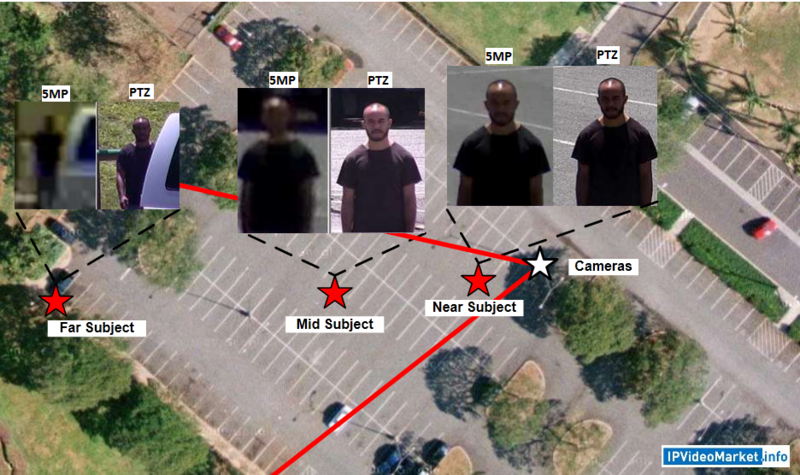 However, the megapixel replaces PTZ sentiment does a disserve to 'virtually' all security managers.